The Redline - Gang Warfare: 2066 game offers a blend of shooter elements but it also offers you the chance to try some Carmageddon like antics, driving and gunning. 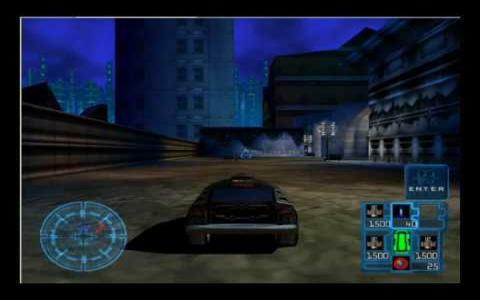 The setting is a futuristic city like scape in which you will drive around from mission to mission, trying to escape enemy fire, which comes both from armed combatants but also from other vehicles. 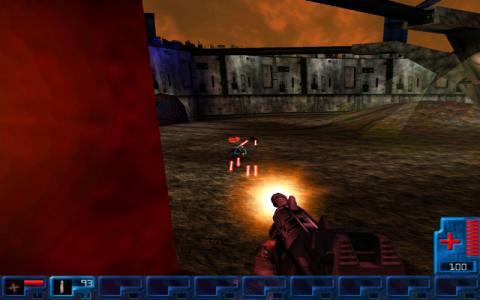 In terms of graphics the game sports a nice third person view of a 3D rendered world, with relatively washy textures and not so bad polygon counts. The game looks good, the control mechanics are also well designed, with good enough implementation of the driving and aiming at the same time. There will however be moments that will feel a little egregious, especially after shooting missiles, as the screen goes blank as if to simulate a momentary blackout. So, if you don't mind a whimsy backstory but want try a better graphics Carmageddon like, this will surely do if for you. However, don't expect a lot. A single play session will probably show you prety much all this game has up its sleeve. When you're done, you might also want to give one of the latest Grand Theft Auto a try. Sometimes is slow, sometimes is fast. The game is about a warrior that manages to escape from a judgement, and he starts working for a company that is in war with many "mankinds". 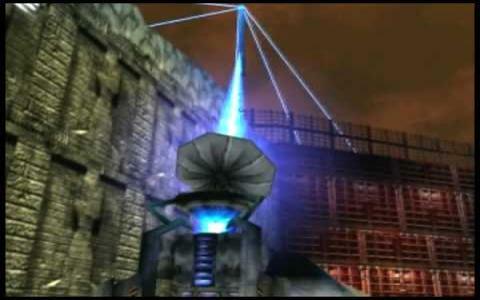 I think I liked the game because the graphics for that year was very good. Well, other good thing that you can do in this game is that you can ever shoot with your own car! This is amazing because apart of hitting monsters with the car, you can kill them!